There is a lot of 1/4" and 3/16" steel in this component. The early prototypes had tow points lower on the bumper. They have now been moved up and incorporated into the stronger 'winch box' area. 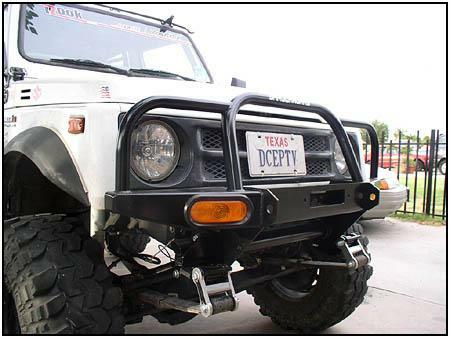 The box itself blends into the rest of the bumper without the 'stuck on' look that is seen quite often out on the trail. ShrockWorks sends out their bumpers 'ready for paint'. 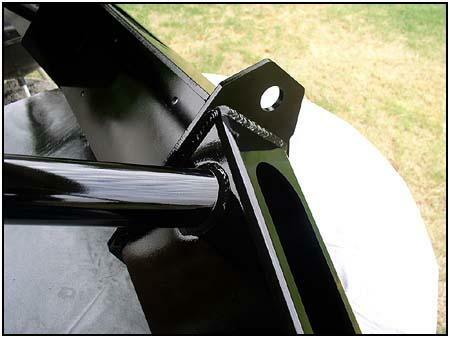 There is an option to get it powder coated, or if it is going on a rock crawler that could see heavy rock abuse, you can paint it yourself using a decent paint that can be touched up when needed. These two shots of the bumper after painting show the care that went into construction. There was almost no prep done before painting because it wasn't really needed. 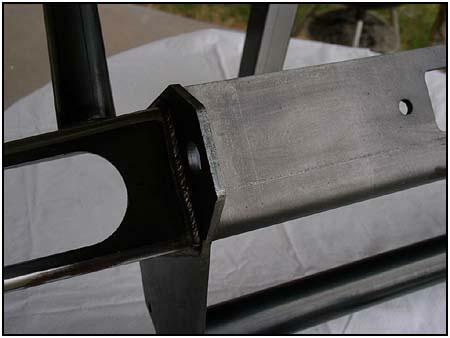 The welds were perfect and the corners were so smooth and blended, it looked like it came out of a mold. 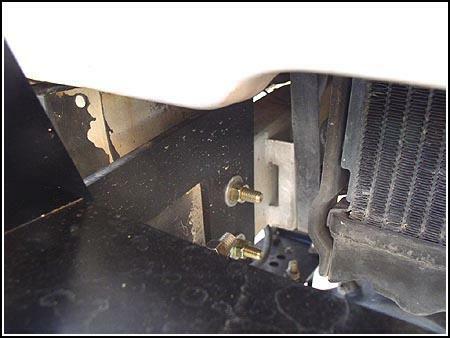 The key to any bumpers strength is in its mounting system. 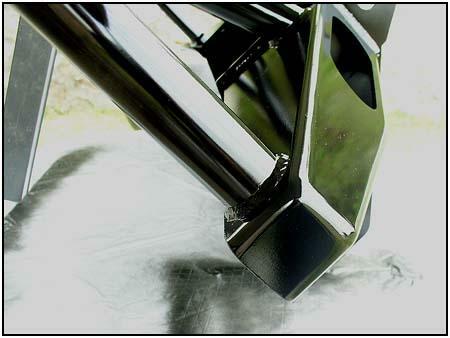 ShrockWorks includes bolt sleeves with their bumper to strengthen the main frame mounts. Welding them in is a nice touch, but not required. 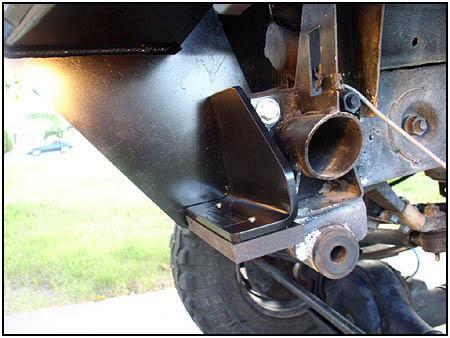 They also include a special bracket that mounts to the frame on the passenger side to keep the bumper from rotating in its mounts when winching. This mount adds serious strength while hiding in the background. 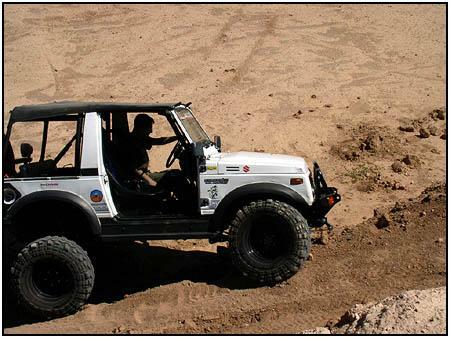 This brings the number of mounting points for the ShrockWorks Winch Bumper up to 7. 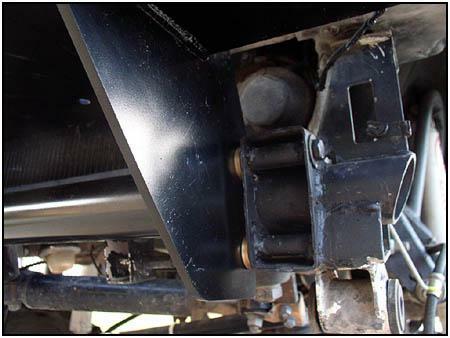 The bumper was specifically designed to allow the use of aftermarket suspension upgrades (that use the ends of the frame) without having to change the bumper in any way. 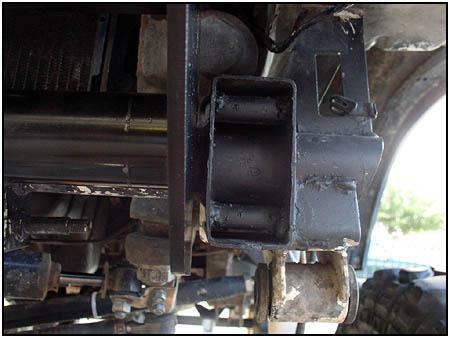 The photo on the right shows the spacers that are used when running a stock style suspension. 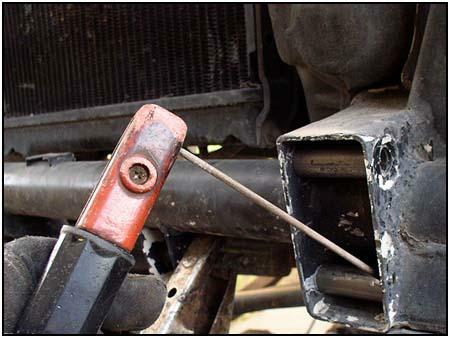 You can also see one of the U-bolts that attach the bumper to the stock front cross member for added strength. 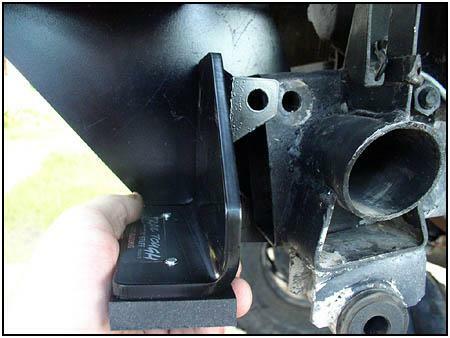 Without the spacers, there is just enough room for an aftermarket suspension upgrade bracket like this YJ spring conversion bracket from Trail Tough. 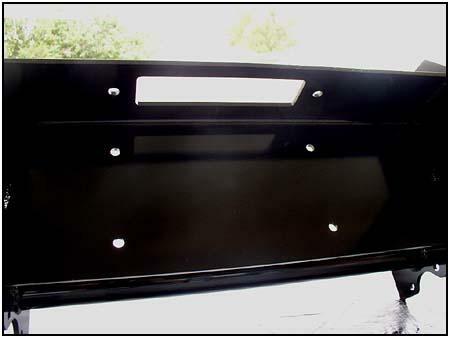 This component is a good example, as you can see the tabs of the bracket go around the front of the frame and the bolts go through the whole thing. 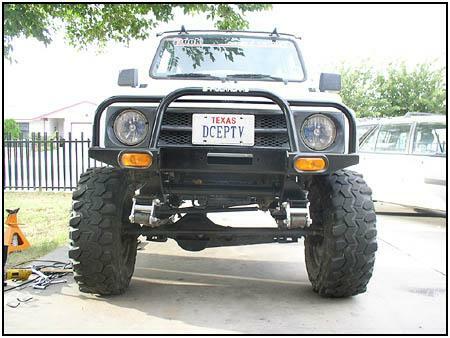 It would be pretty bad if you had to decide between a new suspension OR a beefy bumper. 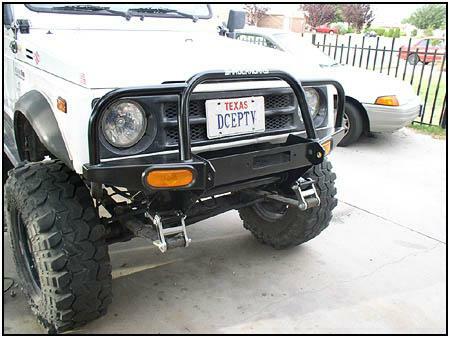 This bumper lets you have both! This is actually a shackle rest for the Trail Tough 'J Link'. But when installed, it looks like an integrated component that compliments the lines of the bumper. 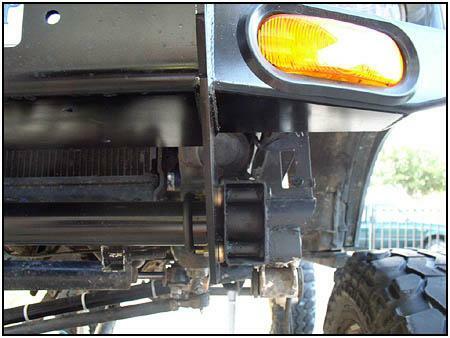 Here you can see more of the Trail Tough Front YJ Spring Kit with its Missing Link style drop links. 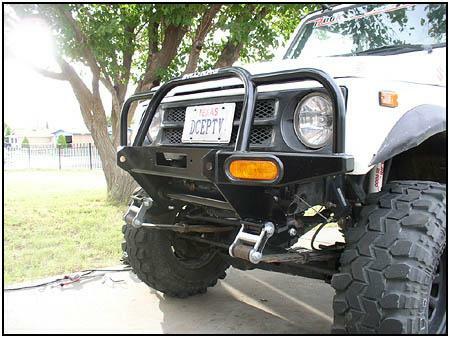 But sitting at rest under the ShrockWorks Winch Bumper they look very natural. Another great feature is the virtual roll cage built on top of the bumper. It follows the lines of the vehicle very closely while protecting the grill and front corners. The lights were picked specifically for the 'replace-ability factor'. You can pick up a replacement set lights at any truck stop and at most auto parts stores when the needed. This is a well made, well thought out design that will survive the rigors of the trail. 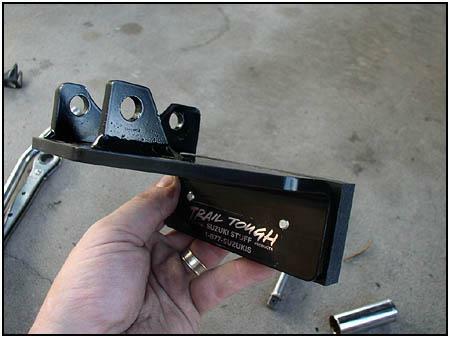 Next month we follow up with the rest of the installation of the Trail Tough Front YJ Spring Kit (with Trail Tough Missing Links) and then we will show a simple winch installation to make this front end complete.